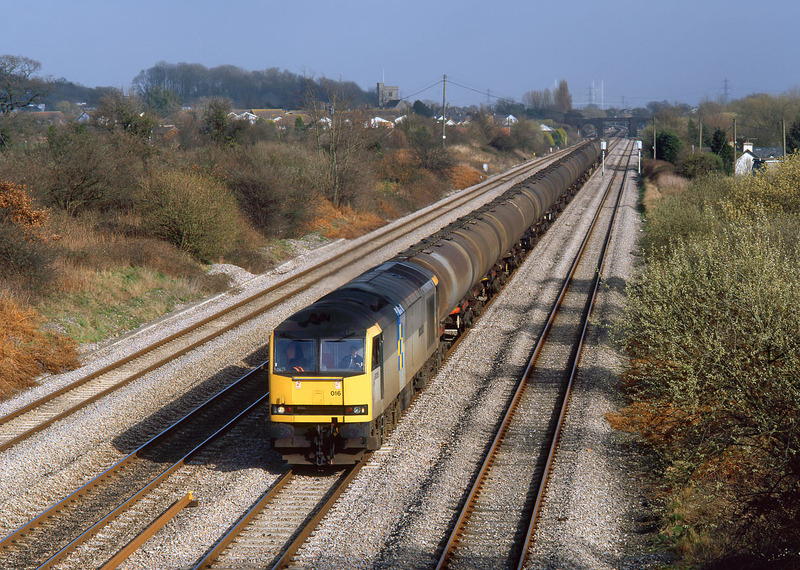 Wearing inappropriate Trainload Construction livery, 60016 Langdale Pikes passes Magor on 14 March 1997 with the 6B25 13:15 Westerleigh to Robeston oil empties. Thankfully it was running on the main line. as it is fairly obvious from this view that there isn't much of a shot for anything on the relief line!